Hollywood effects studio Spectral Motion were hired by Sony to create a little something for Horizon Zero Dawn’s E3 demo. The suit they came up with ended up being one of the lowkey stars of the entire show. 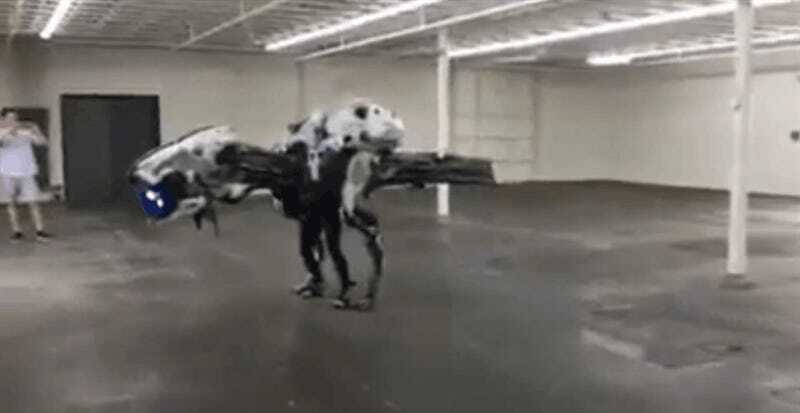 As you can see, it goes way beyond your usual E3 cosplay performance, seeing as it’s basically a giant robot dinosaur puppet that looks every inch like it came from a place that works on big movies (Hellboy II, Looper, X-Men: The Last Stand) for a living. Below is video showing how well it actually moved.